All the history and tough-girl durability of the original, iconic 8-eye Boot—offered in a variety of colors. 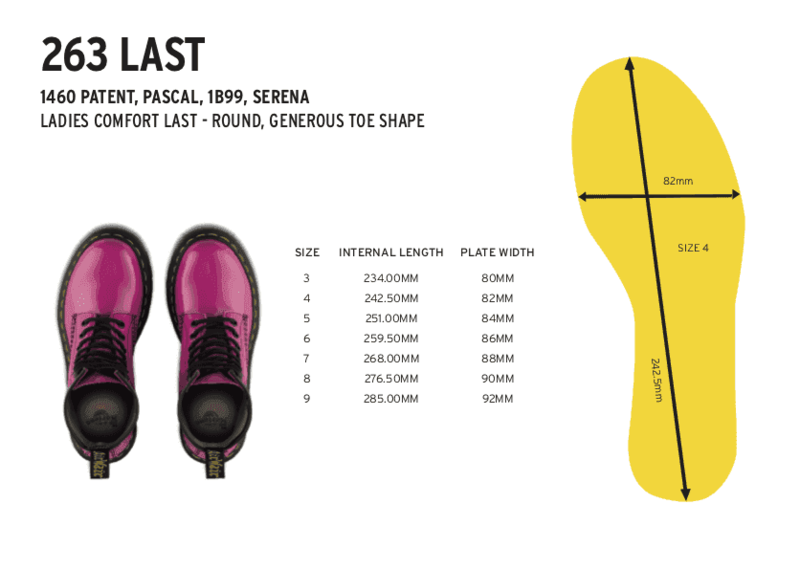 This Pascal was constructed on the iconic Dr. Martens AirWair bouncing sole, that’s oil-and-fat resistant with good abrasion and slip resistance—and has been since 1960. The women’s 8-eye boot is Goodyear welted, meaning the upper and sole are sewn together in our heat-sealed z-welt stitch for enhanced comfort. The Pascal is made with Virginia, a soft, fine grained Nappa leather.